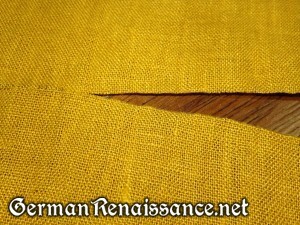 « Pennsic 42 Classes: Tellerbarret Hats, Landsknecht Military History, Blackwork, and Wax Carving! When you’re preparing your linen for a project that requires absolute straightness, such as embroidery or pleatwork (smocking), you want to cut your linen straight along the grain of the fabric. If you don’t get it straight, it can pull oddly on your frame, fray annoyingly as you work with it, and create uneven hems. You could put on magnifying glasses and try, very carefully, to cut between the weft (or warp) threads, but it’ll drive you nuts. 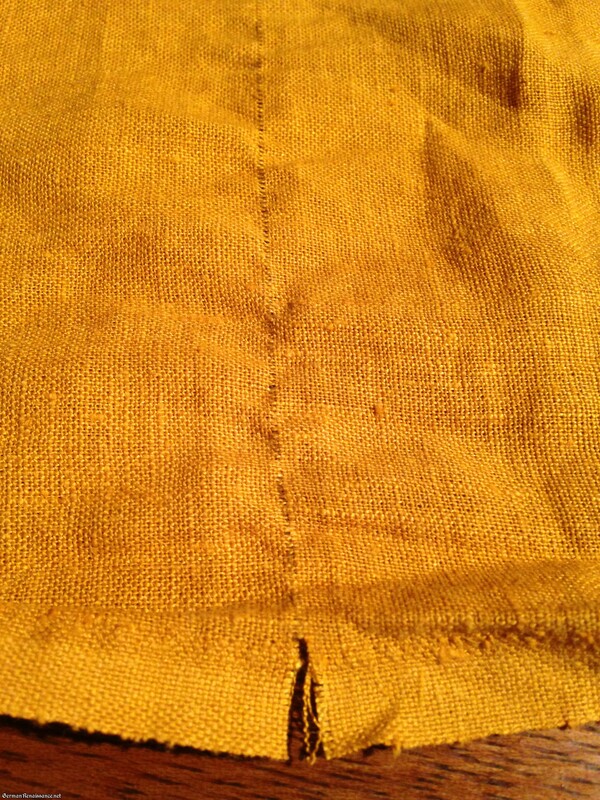 So here’s what I do to get my linen “squared” up evenly along the grain of the fabric. 1. Identify the spot you’d like to cut your fabric and make a small cut at the edge of your fabric. In the photo below, I am cutting into the selvedge and the warp threads (the threads parallel to the selvedge). 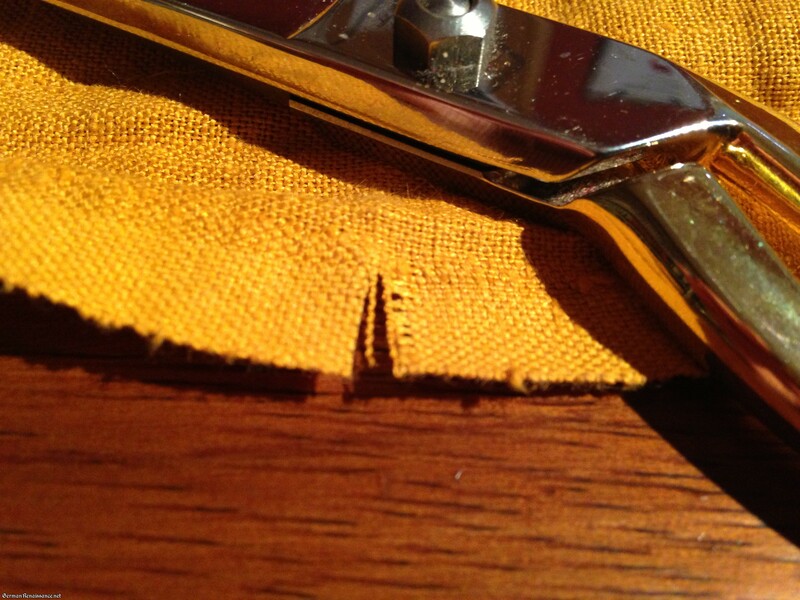 Step 1: Make a small cut at the edge of your fabric. 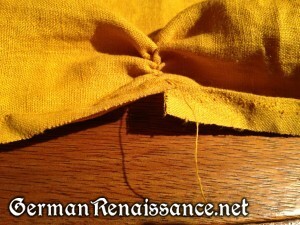 Step 2: Gently pull the thread at the cut. 3. Work the gathers down the fabric. The more it gathers, the farther out you can pull the thread. Step 3: Work the gathers down the fabric and pull out the thread further. 4. 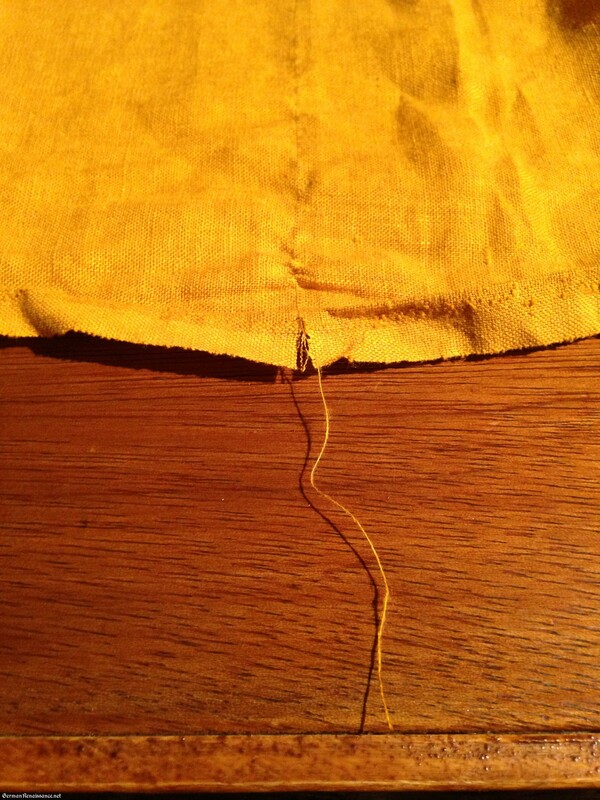 Continue until you’ve completely pulled out the thread from the fabric. 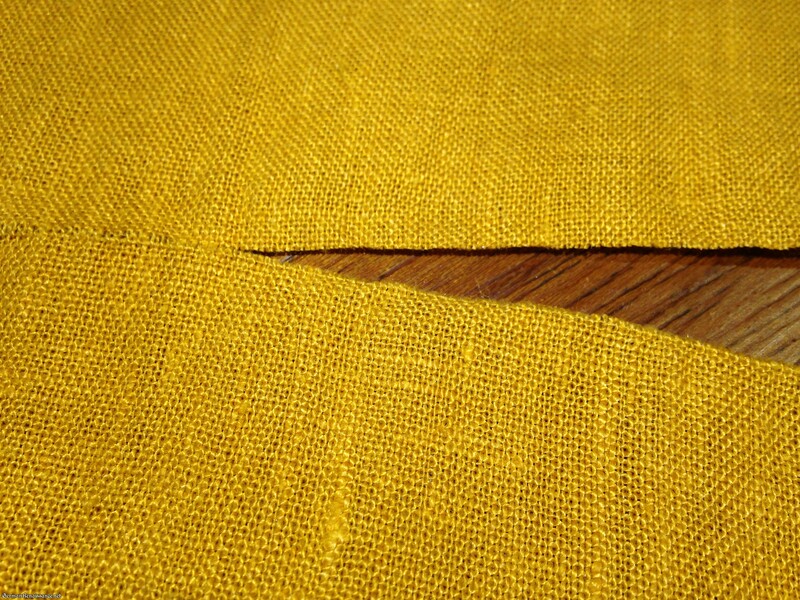 Note: If you are working to the selvedge of your fabric, you’ll need to make a small cut on the opposite side of your fabric before your thread will completely pull out. 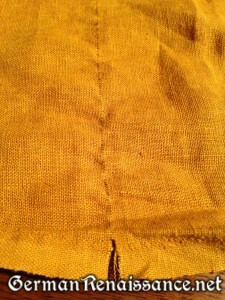 Once the thread is pulled out, a gap will form in the fabric’s weave, making a visible line along the fabric. 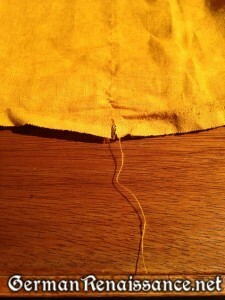 Step 4: Pull out your thread, leaving behind a clear mark. 5. Now just cut along the gap made by the thread you removed! Step 5: Cut along the gap. Tips: If your thread breaks when pulling it out, simply skip to step 5 and cut along the mark your pulled thread has made until you find the end of the broken thread, then pick it up and start pulling again.